The future for pharmacy technicians is a bright one. As pharmacists venture into more clinical roles, they’ll need the support of pharmacy technicians more than ever before. An aging population with a continued dependency on prescription drugs will help drive the rising demands for skilled pharmacy technicians. In response to the evolving roles of a pharmacy technician, accredited programs and community pharmacies train students to do a lot more than the traditional pour, count and label tasks – as long as they stay within the state’s definition of a technician’s role. Technicians work primarily in hospitals and community pharmacies, but you can also find them in assisted living facilities, triage, and diabetes clinics. 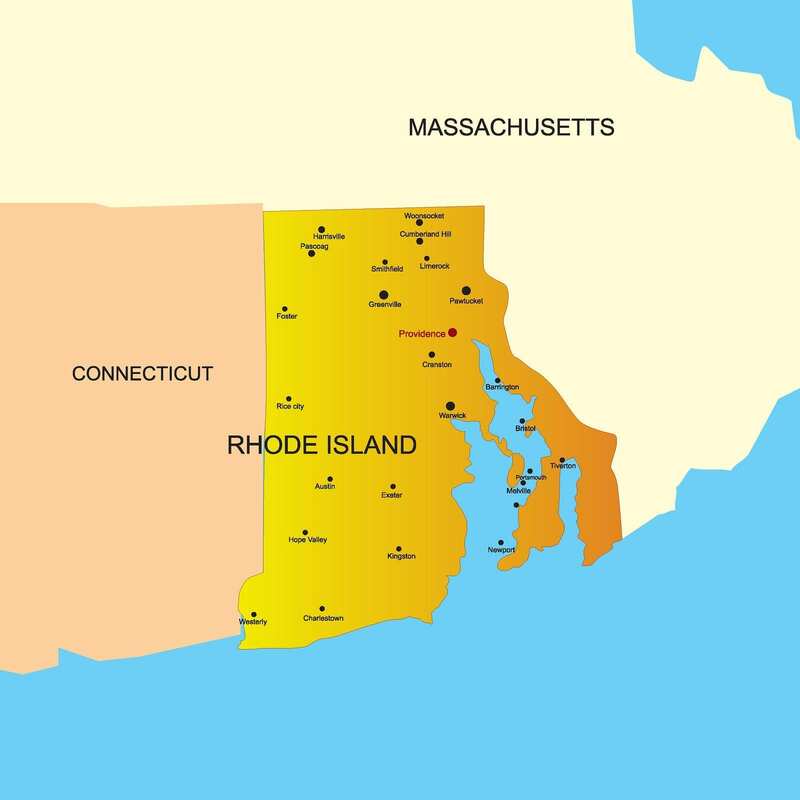 In order to practice in Rhode Island, pharmacy technicians must register with the Department of Health. Applicants for registration must meet the Board’s approved qualifications and education requirements. The need for registration with the Board is just one aspect of modernizing the workforce for the delivery of high-quality services to the general public. The Board of Pharmacy requires pharmacy technicians to obtain a license with the Board before practicing at state pharmacies. Pharmacy interns do not need to register as pharmacy technicians to fill the role. High school students working as part of a career exploration program, do not need to apply for registration with the Board. There are two levels of licensure for technicians: Pharmacy Technician I and Pharmacy Technician II. The Pharmacy Technician I status is specifically for technicians enrolled in or graduated from a Board-approved training program. Pharmacy Technicians I do not have certification from established Boards, such as the PTCB or ICPT. The license is employer-specific. Therefore, the licensee must notify the Board and reapply for a license when changing employers. 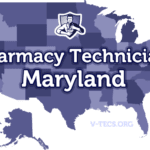 Holders of a Pharmacy Technician I license can upgrade their licenses to Pharmacy Technician II after successfully passing a national certification exam. The two Board-recognized exams are the PTCE and the ExCPT exams. Unlike the PT I license, the PT II is not tied to a specific employer. The duties and responsibilities of the pharmacy technician depend on the license. Pharmacy Technician II license holders can perform some tasks that are off-limits for PT I license holders. Both licensees must report directly to license pharmacists. It is the employer’s or pharmacist in charge responsibility to verify pharmacy technicians’ licensure with the Board. The pharmacist-in-charge must provide on-the-job training and document details of the training, specifically those tasks related to the technician’s role in the pharmacy. Pharmacy technicians can only perform those duties for which they received competency training. Applicants must be at least 18 years old to register as a pharmacy technician in Rhode Island. The Board of Pharmacy requires all applicants to provide details of their high school education on the application form. Applicants can include details of GED as an alternative to high school. Candidates for registration must have a good moral character and not have any convictions of felonies relating to controlled substances. Applicants with previous convictions will need to provide a written explanation of all convictions and copies of legal documents. The Board will determine the applicant’s eligibility for registration based on the provision of satisfactory evidence of the individual’s ability to safely carry out the duties of a pharmacy technician. The Board may need to conduct an interview with the candidate. Prior convictions could delay the processing of the application for registration. Within the pharmacy, pharmacists, pharmacy interns, and pharmacy technicians are registered healthcare professionals. Just like pharmacists, pharmacy technicians have a duty to obtain and maintain the skills and competencies needed to execute their roles. The didactic and experiential training covered in accredited training programs give graduates the confidence they need to make informed decisions. The Department of Health recommends ASHP-accredited programs. In Rhode Island, programs such as CVS Caremark offer at least 600 hours of training. These types of programs combine textbook learning with hands-on learning in a simulated setting followed by experiential rotations in a pharmacy environment. The DOH also approves employer-based programs, which cover dosage forms, laws and rules, communication techniques, security and safety, job descriptions, common abbreviations, drug order preparation and directions for use. Students also learn routes of administration, pharmaceutical nomenclature, affixing labels and much more. At the end of the comprehensive training, graduates are thoroughly prepared to take up their roles in a variety of health care settings. The DOH’s strict standards benefit the public but is also beneficial to technicians who can take their portable skills from one setting to another, and from Rhode Island to other states that adopt equally strict standards. The abundance of employer-based means anyone can train to become a pharmacy technician without spending a fortune. With hundreds of retail chains across the state, you can apply for employment at a place of your choosing and learn directly from a pharmacist-in-charge. Keep in mind that the DOH requires students to register as Pharmacy Technician I while undergoing training. If you go the route of employer training, your biggest expense may be the application for state registration ($25). Your employer/trainer will provide course materials, uniform, and other necessities. The average cost of training at traditional academia is $3000. For instance, the Center for Workforce and Community Education at the Community College of Rhode Island offers a 300-hour training program, which costs $3,395 plus extra for registration, textbooks, uniform, and other materials. After graduating from accredited training programs, pharmacy technicians can apply for the national PTCB or ExCPT exams to register as Pharmacy Technician II – a registration that is not tied to a single employer like Pharmacy Technician I. The average duration of training is eight months, depending on the class schedule. 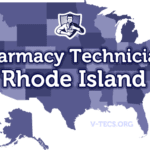 To register as Pharmacy Technician II in Rhode Island, candidates must successfully pass the PTCB or ExCPT exam to earn the Certified Pharmacy Technician (CPhT) designation. National certification not only elevates the pharmacy technician’s status with the Department of Health, but also makes the candidate a favorable prospect for employment. Employers’ know and favor the PTCB’s assessment, which is the older of the two certifying authorities. To take the PTCB exam, you must first apply online, submitting proof of graduating high school and assenting to a criminal background check. Currently, the Board accepts high school completion or equivalent as the minimum education requirement, but by the year 2020, applicants for certification will need to graduate from a formal pharmacy technician training program. The fee for the computer-based assessment is $129. Once the PTCB approves your application, you can schedule the exam at a Pearson Vue center in Rhode Island. The ICPT designs and develops the ExCPT exam. While this certifying agency is not as recognized by state certifying bodies as the PTCB, it is steadily growing as a viable alternative to the older agency. The standards set forth by the ICPT is just as stringent. Applicants must present a high school diploma and must be at least 18 years old. The Board also requires applicants to present proof of formal training or have at least 12 months of pharmacy-related employment – covered within a 36-month period. The ExCPT is readily available at hundreds of PSI/LaserGrade test centers across the nation. Convenient schedules are available, covering 310 days a year. The 120-question exam assesses candidates’ understanding of three main categories; Regulation and Technician Duties, Drug and Drug Products, and the Dispensing Process. The cost of registration is $105. All applications for registration must be completed on a Board-provided form. Mail the completed form along with the non-refundable application fee and supporting documents to the address provided below. Fill out the Board’s application for registration. Enclose the $25 application fee using a check or money order. Print copies of your ID and social security card to attach to the application. Ask the pharmacist-in-charge, at the place where you plan to work, to attest to your assigned duties and on-the-job training. Specify the employer’s name on the application. Attach supporting documents in the order the application packet outlines. The Pharmacy Technician I license is employer-specific. Therefore, you must inform the Board and apply for a new license when changing jobs. The non-refundable application fee, payable via check or money order, is $25. Pharmacy Technician II applicants won’t need to complete the Pharmacist-in-charge Affidavit. Include copies of your state ID and social security card. Include a copy of your PTCB or ExCPT wall certificate. Attach supporting documents if you answer “yes” to any criminal convictions or disciplinary action questions. Pharmacy Technician II license holders must maintain certification with the PTCB or ExCPT in order to renew the license. Licenses expire on June 30th, and technicians must take steps to renew annually. The Board will send out the renewal application 30 days before the expiration date. The reminder will go to the technician’s last known address. It is the applicant’s responsibility to notify the Board of any employment, address or name changes. The Board of Pharmacy encourages online renewal using a credit card. If you prefer to pay via check or money order, you can email the Board and request a paper application. Go to the DOH’s website to renew your license online using credit cards or prepaid cards with a Visa or MasterCard logo. Pharmacy Technicians II license holders must provide a copy of the PTCB or ExCPT wall certification to verify current certification. Pharmacy Technician II license holders shall also complete at least 10 hours of continuing pharmacy education units from an accredited provider during the one-year cycle. Three of the CPEU must be through live hours. For auditing purposes, technicians should keep records of the continuing education for a period of two years after completing the training. Pharmacy technicians with a current license in good standing in another state can apply for licensure by endorsement. The endorsement only applies if the requirements for registration in the state of the current license is equivalent to the Board’s requirements in Rhode Island. Fill out the pharmacy technician application indicating whether you’re applying for the Pharmacy Technician I or Pharmacy Technician II license. Send the Interstate Verification Form to the Board of Pharmacy (or other licensing authority) in your current jurisdiction who will mail the completed form back to RI Board of Pharmacy.